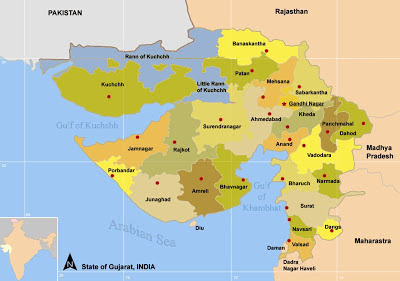 Gujarat is going to have the assembly elections in December 2012. As per the surveys and the claims of BJP and Narendra Modi himself, the ruling Chief Minister, will be winning with great majority. The media has created a larger than life image for him, Modi’s own media management firm has been creating the image of Modi as a man for ‘development’, and the big industrial houses are pitching for his victory. The big industrialists are having a great time in Gujarat. Despite the claims of Modi and company, the average people are facing a rough weather as indicated by different indices of development, nutritional levels, hemoglobin levels of pregnant women etc. Still the popular perception in large sections is that Mdoi will romp home and thereby stake his claim to become the Prime Ministerial candidate from the BJP side. At the same time Modi has been trying to win over sections of Muslims to his side, businessmen, affluent Muslims in particular. Some of them have openly advocated for Modi. One thing should be clear that till a decade ago, it was a myth that the whole community votes in unison. In earlier riots the major victims of violence were poor Muslims. Since Gujarat carnage the class divide of victims has been abolished and now even if one is as affluent person with reach, like Ahsan Jafri, he can also be the victim of violence. That’s the logic of communal violence today. Accordingly majority of Muslims may evolve a uniform policy of voting for a candidate, who can defeat BJP. This was sometimes contemplated and exercised in practices. There is also a dilemma or confusion amongst some Muslims that since BJP and Congress both are equally bad, how does it matter as to who comes to power. This unfortunate perception of situation is due to the vacillations of Congress on communal front, its opportunism at times and its collusion with communal forces at times. Its lack of principled stand against communalism has given rise to this perception. Still on deeper thinking large sections of Muslims do become clear about the basic difference of BJP and Congress. The difference is that Congress is ‘pragmatically communal’ and BJP is ‘programmatically communal’. That BJP is part of RSS combine whose agenda is Hindu nation and to bring in such a state by working through the liberal space offered by Indian democracy, should be well known by now. And in that sense Congress or no other party can be compared with BJP. BJP is one of the vehicles of communalizing the society as far as RSS, the patriarch of communal politics in India is concerned..
BJP has been propagating that more communal riots have taken place in the rule of Congress so how come, Congress is better than BJP as far as communal violence, communalism is concerned. It is a clever use of the fact that though the Congress has been in power, the real instigator of violence, by and large is the BJP and its affiliates. Congress merely colludes or looks the other way around. Also here the role of police becomes important, as large sections of police are not only very communal; police force is also heavily infiltrated by those who have sympathies with communal politics. In this complex situation, who do the Muslims vote for? The noted Islamic scholar, the liberal face of Indian Islam, Asghar Ali Engineer, points out that though the Bohra Muslims and their religious leader Dai, has good links with Modi for business reasons, still most Bohras will not vote for Modi due to the larger picture on political scene. Maulana Vastanvi, who had earlier said that Muslims are doing better in Gujarat, has also said that Muslims should not vote for Modi. Modi has been trying his best to woo over the Muslim community by tying up with businessmen from Gujarat like Zafar Sareshwala. Still the larger section of Muslim community remains fearful of Modi. Despite his Sadbhavna stage shows the Muslim community knows that at root Modi has no sympathies with minorities. Modi’s fasting and Sadbhavna meetings were well managed stage shows where many with ‘beard and cap’ paid their obeisance to Modi, but at the same time Modi got exposed as he refused to wear the skull cap offered by one of the clerics who came to meet him. This at a time when he was putting on all sorts of caps and pagadi’s (head gear) offered by Hindus and Jains. The Muslim community knows that in this stage managed state show Modi has spent millions to project his image of amity. But can the deeper wounds be done away by such attractive coverings? Syed Shahabuddin landed up in another controversy due to the tone and tenor of his letter and the letterhead, but some of the points which he raises are very valid for the Muslim community of Gujarat. Shahabuddin has asked Modi to give full rehabilitation, reimburse medical expenses, suitable compensation, rebuilding of the places of worship which were ruined due to the violence amongst other demands. The basic flaw in Shahbuddin’s letter is that to presume that Modi may be amenable to such suggestions and the very process of writing a letter to Modi itself is a misplaced one. Some may call it optimism but it is nothing short of a delusion about Modi. 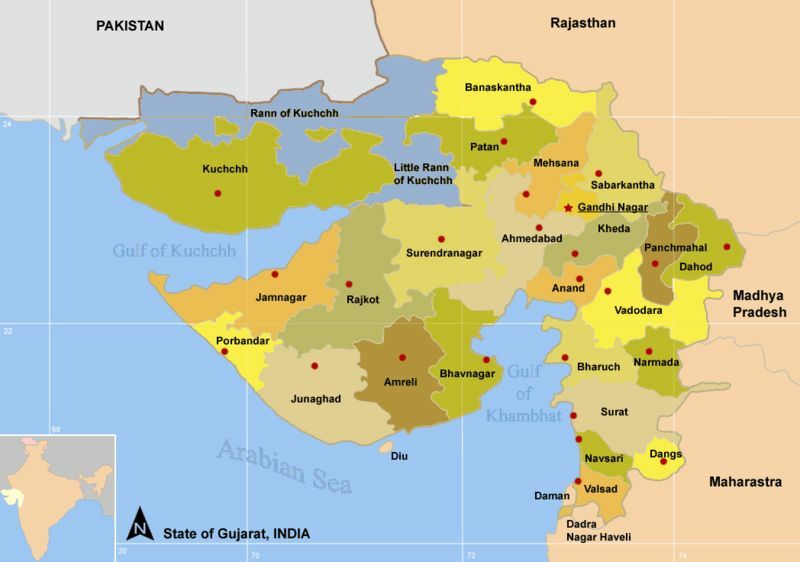 The core question dodging the Muslim community is that they have been effectively relegated to the status of second class citizenship in Gujarat. It is a part of their daily experience. Politically marginalized, economically pushed back and facing the step motherly treatment from state, it is unlikely that Muslims can even think of voting for Modi. Surely, there will be some like Sareshwala, who will ask for the votes for Modi, but barring such elements, average Muslim has suffered and travails of living in the ‘Hindu Rashtra of Gujarat’, where the affiliates of BJP, the VHP, Bajrang Dal, Vanvasi Kalyan ahshram and ABVP are making the picture complete by their brash ways of imposing their will on minorities. While celebrations are already afoot for Modi’s victory, it’s unlikely that he can have a cake walk in Gujarat this time as apart from M factor the whole deprivation of dalits, Adivsis and other poorer sections of community are too deep to be won over by the rhetoric of Vibrant Gujarat. While psephologists are burning mid night oil to ratify Modi’s victory, the real outcome of Gujarat 2012 elections may be a surprise to many who are undermining the impact of social development indices and the scars of 2002, which remain very much painful even now!